There are moments in our love life where we stumble upon someone who appears to be very strong in almost every single aspect of their lives. These strong individuals who have experienced a lot of adversity as well as experiencing what it is like to be a failure on certain accounts only prove just how capable they really are. This isn't to say that you are any different from them, it is just that these specific type of people want things to be a certain way otherwise you could be facing a potential deal-breaker with them later on. 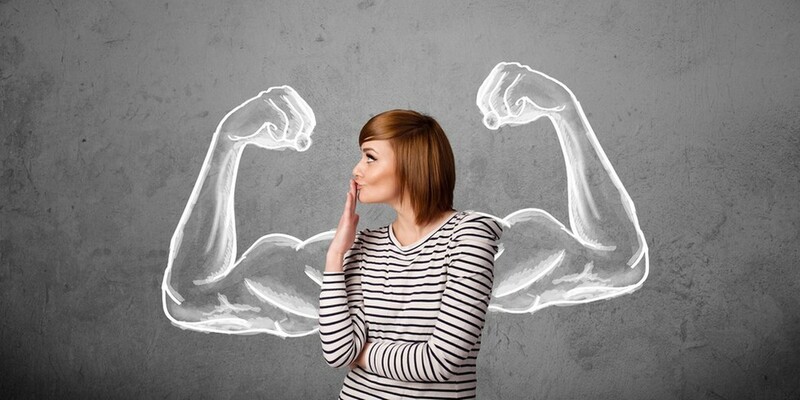 Here are seven things you should expect when dating a strong individual. One of the most important things you can do for your capable lover is giving them the necessary space whenever they need time alone to recuperate. Strong individuals are always processing things in their daily lives such as current events, your relationship with them, their relationship with others, and literally just about everything else. It's good to let them have some room to breathe so that they can recharge themselves for the next round. If you are dating a strong individual, do not be surprised if they take it upon themselves to buy nice things. Strong people really like to take the time to spend their hard earned money to buy themselves something that they truly feel like they deserve for all of their hard effort of just existing. You may think that something might be wrong, but this is just a simple case of mandatory splurging that all of us like to do every now and then whenever we have some loose cash hanging around. Whenever something pops into a strong individuals head, they will seek you out and confront you about the topic at hand. Whatever is in their mind and they need to talk about it, they will come directly to you and ask you what your opinion is about this certain thing. If you do not do well with confrontation or having to deal with openly communicating everything that you're doing with them, then you may want to reconsider dating this person. They want to make sure that your relationship is on the exact same level and if there is any room for doubt they will ask you about it. Strong individuals are very open minded to new things. The potential alone makes them want to try it out even more just to see if they've found something interesting and new that makes them happy. It's good to share your thoughts with them on what you think would be a good idea for the both of you, they are always up to give anything a first try. Do not be afraid to speak your mind around them because nothing is ever really taboo to them. Strong individuals do not have the patience for petty arguments especially from people who they don't see every single day of their life. If they can, they will avoid unnecessary conflict for their whole life. They simply cannot stand having their time wasted on mindless gossip, rumors, hate mail, etc. If you are a person who is prone to drama then you are going to have to either change that immediately or reconsider finding someone else to date. When dating a strong individual, always expect them to be self-sufficient in every single way that they can be. Of course, there is always a time and a place for when they need to let someone else take the reigns on things but it's good to let them fulfill their needs in order to make sure that absolutely everything is as it should be. Even though they might seem like they are being a little excessive, they are just making sure that the both of you are going to have a good time with whatever it is you're doing. Strong people like to keep their inner circle between only a few amount of close friends that they trust. You will hardly ever see them make any critical changes around this certain group of people simply because they have been together through thick and thin for quite some time now. Trust is a very important piece of any relationship they have with another person so it's important that you are able to demonstrate that kind of trust to them so that they know they can rely on you. Hopefully this has opened your eyes as to what it means to date someone who is essential a very strong independent person.